Some photographers have an agenda. They see photography less as a form of expression and more as a tool for bringing public awareness to their cause. Their photography is not intended to please, but to inform…not meant to form an aesthetic, but to form an opinion. 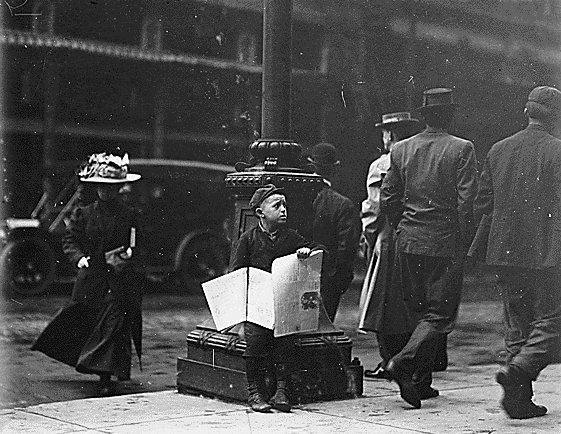 One such photographer was Lewis Wickes Hine. Born in Oshkosh, Wisconsin in 1874, Hine was briefly employed as a factory work before attending college (first at the University of Chicago and later at the Ethical Culture School in New York City) to study sociology. In 1903 Hine bought his first camera, apparently with the intention to use it as an instrument of social awareness and change. Hine’s first photographic project grew out his concern for the living conditions of newly-arrived immigrants in New York. In order to understand the immigrant experience, he began by turning his camera on the men and women arriving at Ellis Island, the gateway for nearly all immigrants coming from Europe. 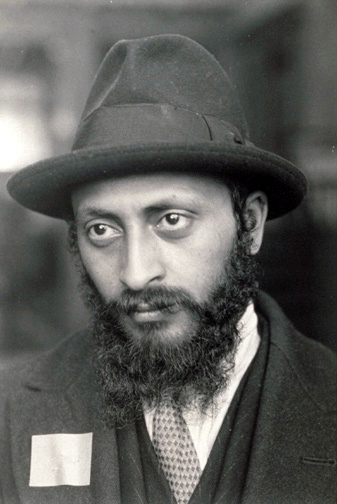 He documented them from their arrival to their first homes in the ghettos, slums and tenements of the Lower East Side. As he studied the new immigrants, Hine also became interested the other poor and working class residents of New York’s tenements. He was particularly affected by the young boys and girls who labored to help their parents survive. 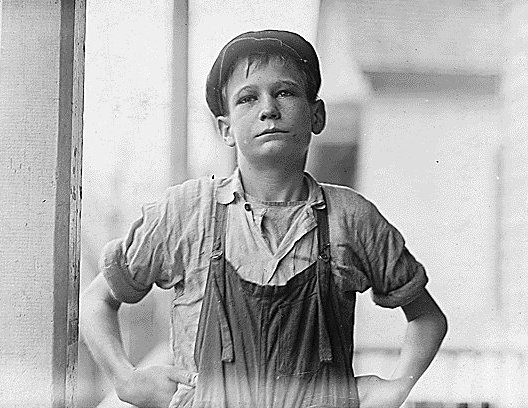 In 1906 Hine began to do freelance photography for the National Child Labor Committee. He traveled the U.S. photographing children working in mills, sweatshops, coal mines, brothels, bowling alleys…all in an effort to promote child labor laws. Hines kept detailed notes on the children he photographed, including comments they made as he interviewed them. The twelve year old boy in the following photograph was unable to read or write. He’d been employed by a textile mill in Columbia, South Carolina for four years, since the age of eight. He told Hines, “Yes, I want to learn, but can’t when I work all the time." Each of Hine’s projects seemed to lead to another. His interest in immigrants led him to study child labor, which led him to study the working classes in general. His photographs of working men and women led to the project that made him most famous. In 1930, at age 56, Hine was hired to document the construction of the Empire State Building. 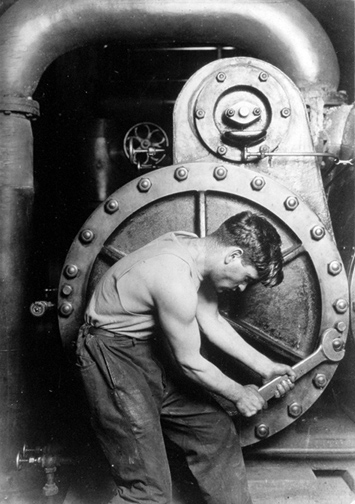 The photographs were published in a book (Men at Work) and given museum space in several cities throughout the U.S.
Hine spent the next several years exploring the complex relationship between men and machinery. He celebrated the work and the beauty of the workers while at the same time he deplored the notion that humans were held in thrall to industrial machines. Hine, for all his critical and political success, had also angered the great capitalists of the U.S. As a result, he had great difficulty actually earning money from his photography. In 1940, only eight years after his biggest success, Hine was made homeless by his inability to meet his house payments. He died ten months later in extreme poverty.